The strength of the DynaPro is a combination of process and design. The process of stess-flow forging re-aligns the internal grain structure of the metal to flow within the contour of the caliper body. This produces a part with superior strength over machined block billet parts or castings. The FEA generated body design features a radial transition between the piston bores and caliper bridges. This eliminates macined steps and shoulders in this critical strength area and substantially increases the resistance against deflection and body separation under high load. Structural deflection and volume displacement testing have proven the efficiency of this innovative design. 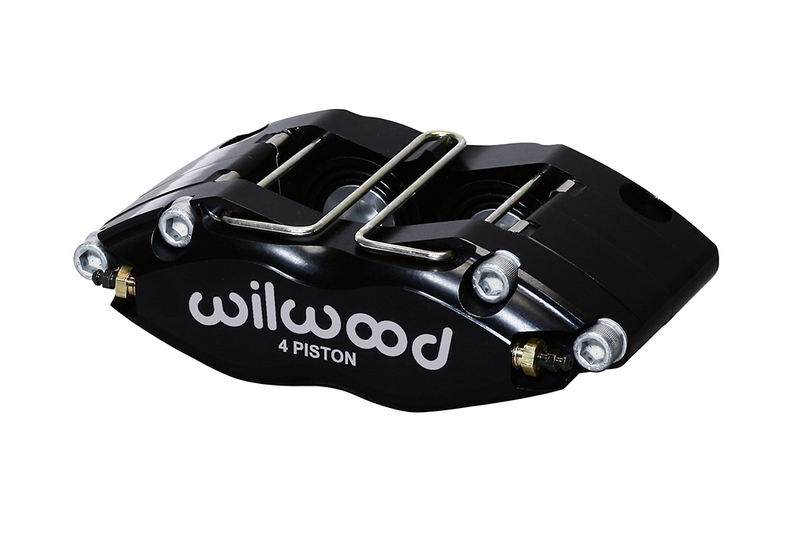 The bottom line is a firm pedal with outstanding stopping power. The DynaPro is available in four configurations. Standard calipers for rotors up to 12.19” feature dust-booted aluminum pistons for maximum protection against track or road born debris in low to intermediate temperature applications. A long radius version is available to accommodate rotors up to 13.00”. Competition models use heavy wall stainless pistons to provide addition protection against corrosion and heat transfer from the pads. All DyanPro calipers can also be optioned with Thermlock pistons for maximum thermal protection in sustained high-heat applications. Optional side inlet calipers are available to simplify plumbing with inboard mounted brakes on live axles and independent suspension rears. DynaPro calipers use type 7816 pads that are supported from the top by Quick-Clip pad retainers. Quick-Clips allow fast access to the pads for service without the need to dismount the caliper. The Quick-Clip design also allows additional inside radial clearance between the caliper body and the lug hub by eliminating the bottom pad support feet found on other caliper models. Side inlet DynaPros use additionally fortified bridge bolts in place of the Quick-Clips for the ultimate in secure pad retention within high load environments on sprint cars and other extreme duty applications. 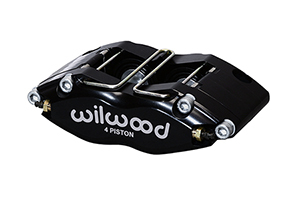 The DynaPro incorporates other exclusive Wilwood performance enhancements. Stainless SRS bridge plates eliminate caliper bridge wear from pad gouging while dampening noise and vibration during engagement. Internal fluid passages eliminate the need for external crossover tubes and four corner bleed screws allow effective gas evacuation regardless of mounting location.